Sadly, it’s only 10% off up to $200 purchase. 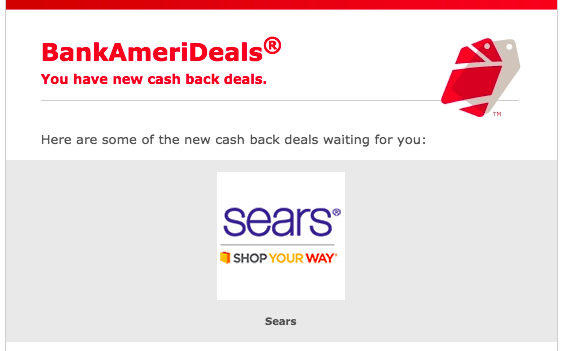 As of writing this, Alaska Airlines and Southwest is at 5x for a Sears purchase. Fortunately, the Bank of America BankAmeriDeal goes through until April 15 so if a portal isn’t paying out to your expectation, you don’t need to jump on it. I can sell Sears at an 86% rate and GiftCard Zen will charge me a 14% commission. Therefore, I’d be buying the portal miles at $.008/mile, right at my target cost. Or buy a $200 VGC in store with a 3.5% fee.